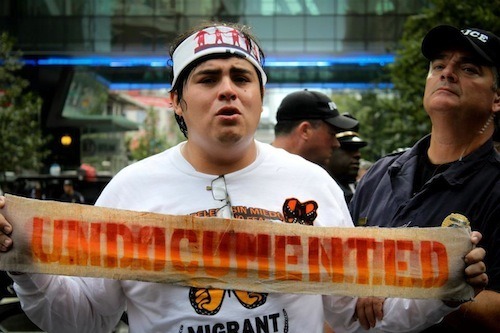 Why did immigration officials release a group of undocumented activists arrested outside the DNC? Despite the threat of deportation, Julio Sánchez protested in Charlotte on Tuesday. After police arrested ten undocumented activists protesting outside the Democratic National Convention on Tuesday, those arrested were turned over to federal immigration authorities. Hours later, however, the activists were released from custody by U.S. Immigration and Customs Enforcement (ICE).